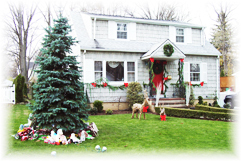 Premier Lawn and Landscape Services Inc.
Premier Lawn & Landscape Services, Inc. offers holiday decorating and lighting. 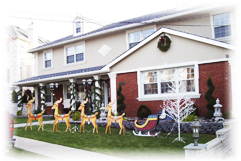 The holiday season is hectic enough without having to worry about when and how you are going to get the outside of your home decorated. Premier Lawn & Landscape Services, Inc. can handle this task for you. We will not only hang and install lights, garland, natural roping and bows but we supply all the products as well. Plus, we will take them down after the holidays.